Excellent shape all around. Vinyl appears to be listened to a few times and properly stored. Sleeves have minimal edge wear. 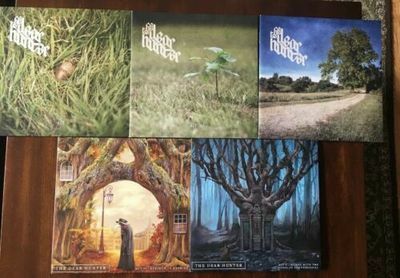 The Dear Hunter Acts I - V Vinyl Lot (5 Lps) Limited Edition Colored Vinyl. Condition is Used. Shipped with USPS Media Mail.